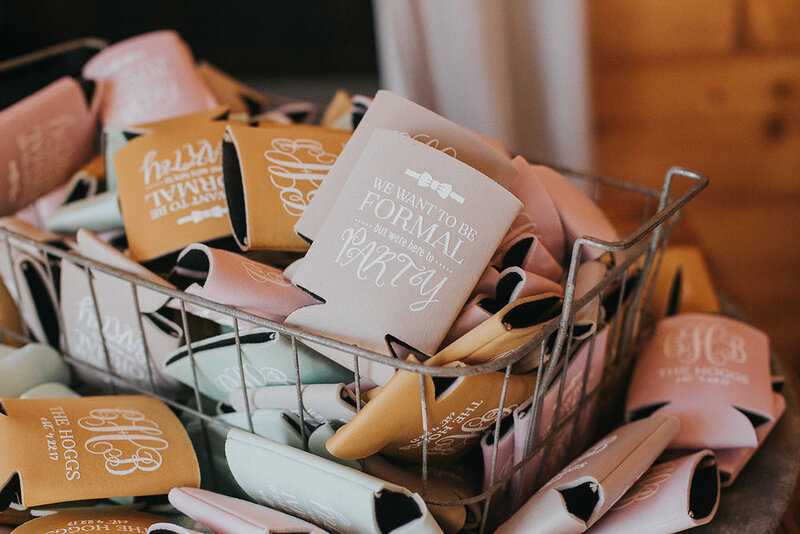 Custom koozies have been popular for a while, but we still absolutely love them. They are a gift that is not only fairly cheap but also easily customizable and very useful. Guests can use them on your big day and for years to come to keep their drinks cool. A charitable donation is the best way to do something good for someone on your big day! Pick a charity and donate a certain amount for each guest. To let guests know, you can make a small note for each table or place setting! Everyone loves a good snack, whether its sweet or salty give your guests a treat they can take home to share! From cookies and donuts to popcorn and candy, there are plenty of ways to let your guests take home a little late-night snack! Succulents are the latest trend in wedding favors! Succulents are the perfect plant to have in your home because they are so low maintenance, anyone can care for one! Succulents are an awesome way to give people something that brings life into their home while reminding them of your awesome day! We love the trend of giving out airplane-sized bottles of alcohol. It is the perfect the gift to get your guests in the party mood and to ensure your night is filled with fun! Soda bottles can be a cute and inventive way to give your guests the perfect treat. Either in glass bottles or a customized can, there are so many ways to incorporate these into your big day!